Riga is a discreet outdoor wall lamp by the designer Paolo Zani. The lamp from FontanaArte has a direct and indirect light emission, so that the entrance or patio can be individually lit. Riga’s body is made of opal frosted polycarbonate provided with two guides, positioned in the upper and in the lower part of the mount. These allow the application of an optional mask to cover the direct or indirect lighting beam. The front screens are made of brushed nickel-plated steel or in iron painted with anodized aluminum color, resistant to atmospheric agents. Depending on requirements, the wall lamp can be fixed either horizontally or vertically. Other versions of this lamps - in aluminum or for the indoor area - are available on request. 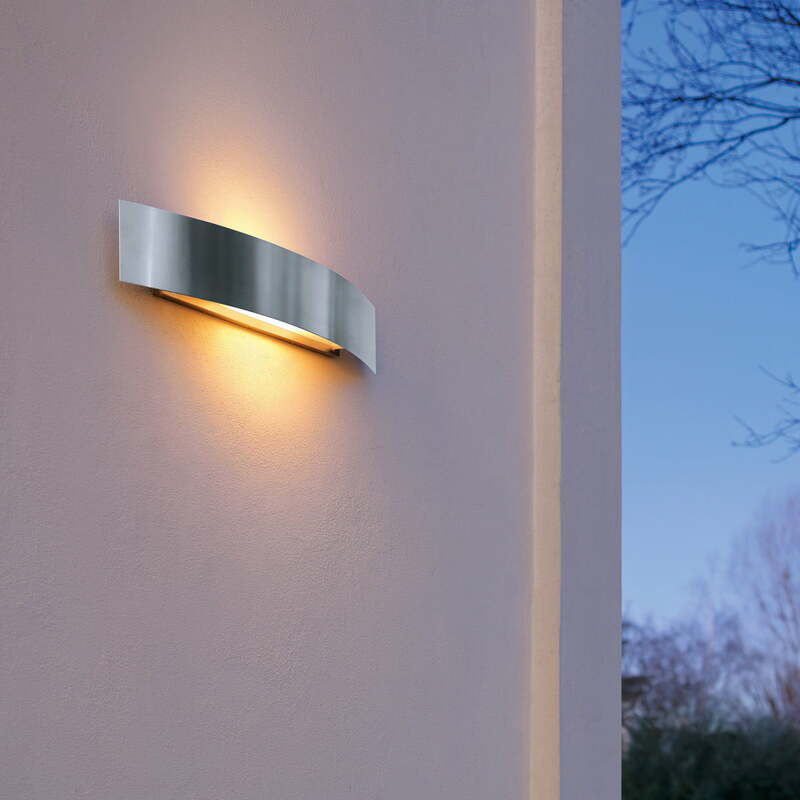 The Riga outdoor wall lamp can be set up either horizontally or vertically. Its dual-light emission provides optimum illumination for the entrance area or the terrace.